From now until Labor Day, September 1, 2014, for every like received on the PATH Intl. Sponsor Bimeda/Equimax Facebook page, Bimeda will donate $1 to PATH Intl., up to $1,000. We are at nearly 200 likes from when we started! Does your nonprofit center serve veterans? If so, you may be eligible to apply to the DAV Charitable Trust for a grant to fund veterans services. Their next grant cycle starts October 1. For information, visit their website. My first couple of days as CEO of PATH Intl. are nearing the end. As tired as I might be by the move from Seattle to Denver, I have been energized by these two days full of information and possibilities. Although I know PATH Intl. well from my earlier time as a center executive director and as a PATH Intl. Board Member and Past President, having this opportunity to learn yet another perspective and ultimately take all of that knowledge to lead the association forward is exhilarating. Thanks to the strong work of the board, staff leadership and community input, we have a bold strategic plan to execute that will benefit the membership and the clients we serve. I look forward to working with all of you to strengthen and build this industry in the days ahead. Renewing Sponsor and Special Conference Auction Item! Registration for the 2014 PATH Intl. Conference and Annual Meeting is now open. Click here to register and pick your sessions. If you registered through the special promotion, you may now go in and select your sessions. The PATH Intl. Medical Advisory helped identify the 2014 medical tradeshow at which PATH Intl. will exhibit. The American Psychological Association Convention, August 7-10 in Washington DC, is a perfect fit to help broaden outreach for the association and EAAT. The last time the event was held in DC, 2011, there were 13,633 psychologist attendees! We have heard from many PATH Intl. Certified Professionals who are attending the event as they currently play an active role in this vibrant association. 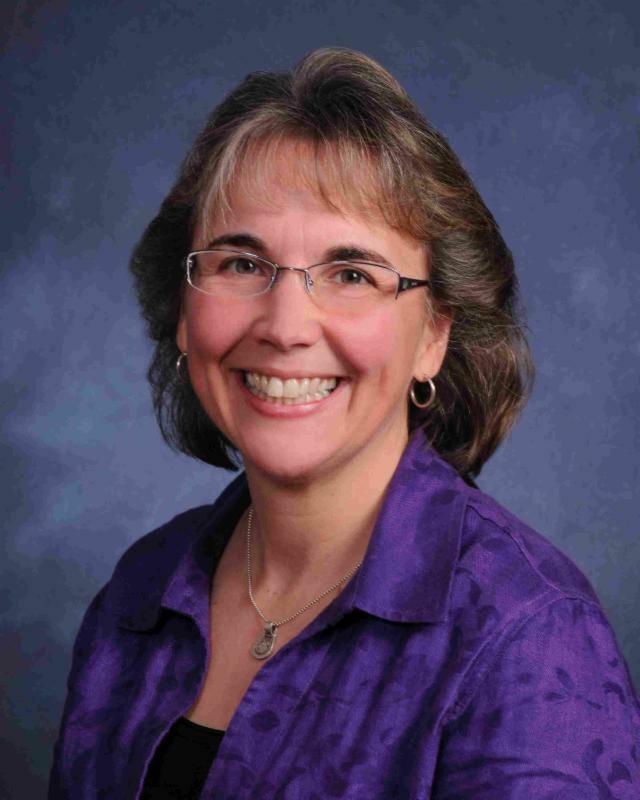 Medical advisory member Dr. Robin Gabriels will be presenting at the convention on her recent research: "Expanding rural intervention options for children on the autism spectrum: Results from a four-year randomized control trial of therapeutic horseback riding." Joahn Hall, MD, also a medical advisory and PATH Intl. Board of Trustees member, has graciously offered to attend to help with the outreach. The goal is to educate the attendees about the essential role PATH Intl. plays in EAAT, including equine-facilitated psychotherapy and why it is vital that they seek PATH Intl. Professionals and Centers for their clients and professional needs. The education event Providing with Purpose: Serving Veterans to the Best of our Abilities will focus on strategies for individuals serving veterans with an emphasis on those working with horses. Clinician Monty Roberts will be the keynote speaker! The event is August 22-24, 2014, at BraveHearts at the Bergmann Centre, 4950 Route 173, Poplar Grove, IL 61065. PATH Intl. MEMBERS ONLY may register one free guest with the purchase of one full registration. The deadline is Friday, August 8th at 5 p.m. CST. Click here for the tentative schedule or for more information. Have a question? Email: meggan@braveheartsriding.org. To redeem this discount offer call: (815) 943-8226. It was with sadness that PATH Intl. heard the news yesterday of the death of James Brady, the press secretary to President Ronald Reagan who was shot during an assassination attempt on Reagan in 1981. The failed attempt left Brady paralyzed. To make his physical therapy more enjoyable, Brady began therapeutic riding with his horse. It was so beneficial that he improved rapidly and eventually was able to walk without a cane. He said that the riding helped him improve his balance and muscle control more than traditional physical therapy. PATH Intl. named its professional achievement award after James Brady. The PATH Intl. James Brady Professional Achievement Award Winners are listed on the website. 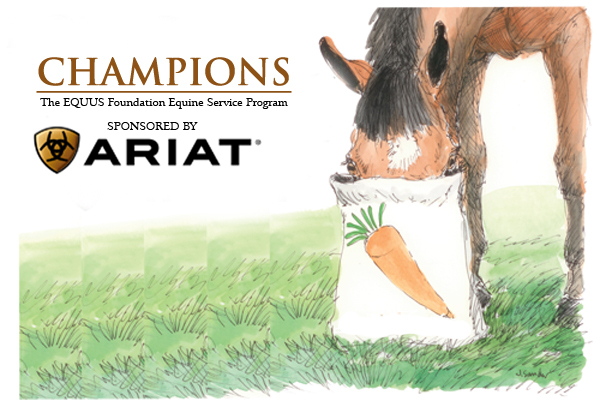 The winner of the 2014 James Brady Professional Achievement Award, which is sponsored by The Equus Foundation, will be announced at the PATH Intl. Conference Awards Banquet, October 31, 2014, in San Diego. Our thoughts are with Mr. Brady's family. Mark August 19 on your calendar for a free Bayer HealthCare Animal Health webinar on Equine Protozoal Myeloencephalitis. 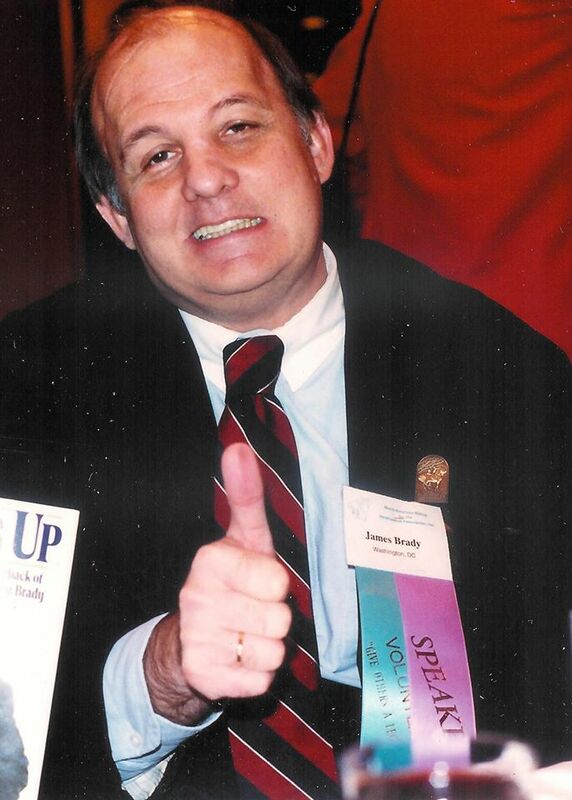 Dr. James Little will present "EPM: The Cause, Symptoms, Diagnosis and Treatment" at 3 p.m. Eastern Daylight Time. Watch your email inbox for more information coming soon. 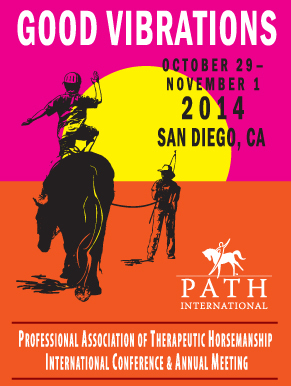 Congratulations to Pikes Peak Therapeutic Riding Center, a PATH Intl. Premier Accredited Center in Elbert, CO. The Colorado Springs Business Journal in its 2014 Best of Business honors named Pikes Peak TRC Best Physical Rehab Center. "Pikes Peak Therapeutic Riding Center isn't full of complicated gym equipment and stern, demanding physical therapists. Their therapy is of the furrier sort - horses," states the CSBJ website. "The center started out solely as a place for people with disabilities to ride horses, and has grown to include hippotherapy, thanks to a partnership with Memorial Hospital. They now provide equine therapy to people with speech, occupational or physical disabilities. 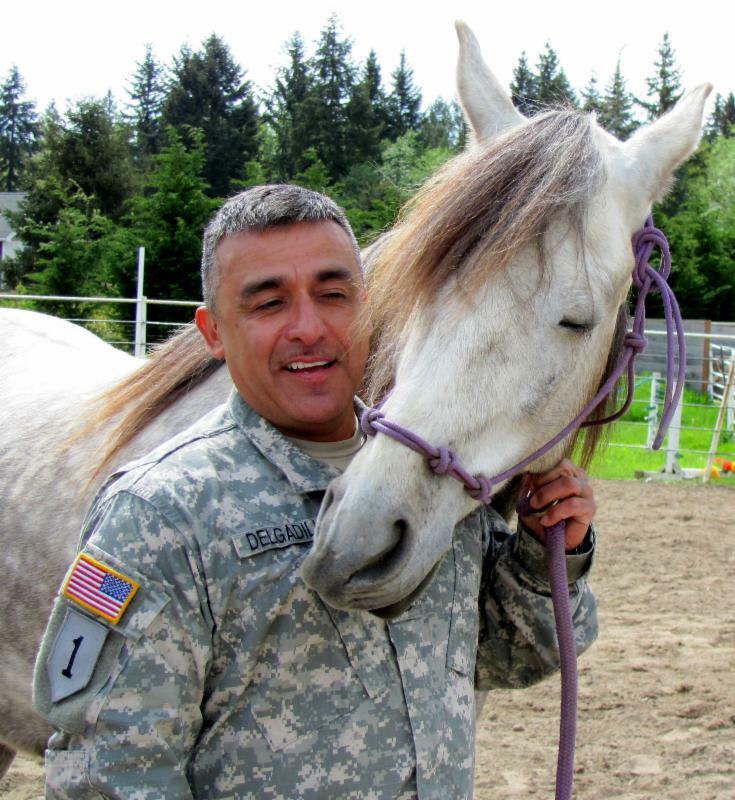 And they've grown more - in recent years, they started the Horses for Heroes program to provide equine therapy to soldiers returning from Iraq and Afghanistan. They've just started a psychotherapy equine program to assist with cognitive and emotional well being. Started as a small nonprofit, PPTRC was incorporated in 1982 and now treats a range of cognitive, physical and emotional disabilities." PPTRC stated on its Facebook page, "We are here to serve the community and thank you for allowing us to serve you." We at PATH Intl. are proud of the work our centers and our certified professionals do every day, and we are grateful that others outside our industry recognize them too. Ahhhh......turnout! Hopefully, most PATH Intl. Centers are able to provide their EAAT horses with turnout, whether in a large herd over massive acreage, in small, individual dirt paddocks or somewhere in between. Keeping really small "playpen" paddocks clean is not much more difficult than cleaning a stall. In huge open fields, however, the prospect of wandering around, manure fork in hand, in search of manure piles, is impractical at best. There are those very fortunate centers (I taught at one of them) who are the proud owners of a "poop-vac" (this is my term), which can operate off the back of a Gator or farm vehicle and magically vacuums up the manure into a receptacle to be emptied when full. For those of us without a poop-vac, one very simple, very low cost option for medium-small to medium-large paddocks is the tire drag. Read more. We recently posted on Facebook a question some members have asked about recommendations for a good volunteer management software program. Gregg Goodman, executive director of Horses Help, a Premier Accredited Center in Phoenix, AZ, and Arizona State Chair, states that they are looking at a new program with Nonprofit Easy, a one-stop shop for managing volunteers, fundraising and other organizational data. Thank you for your input, Gregg! When it comes to running our organizations, other members are often our best resource. Do you have a volunteer management software program you'd like to recommend? Send an email to Cher Smith.